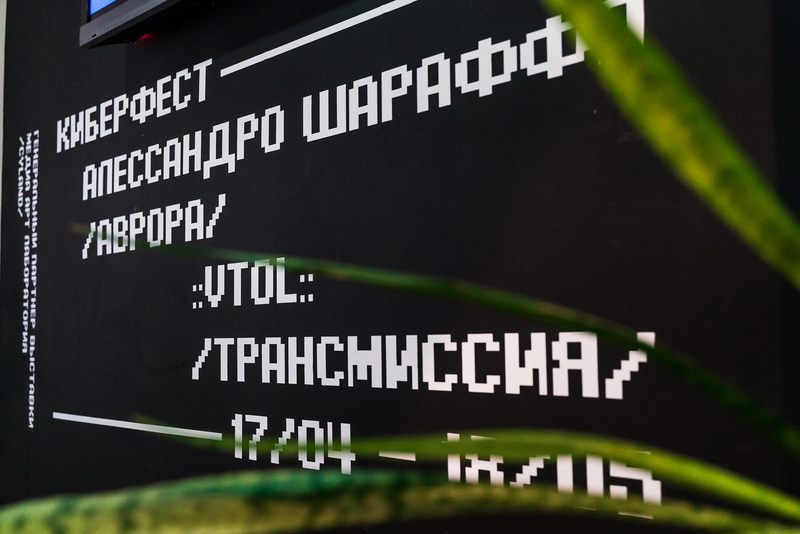 April 17, next exhibition of CYFEST-12 opened at the GROUND gallery in Moscow. 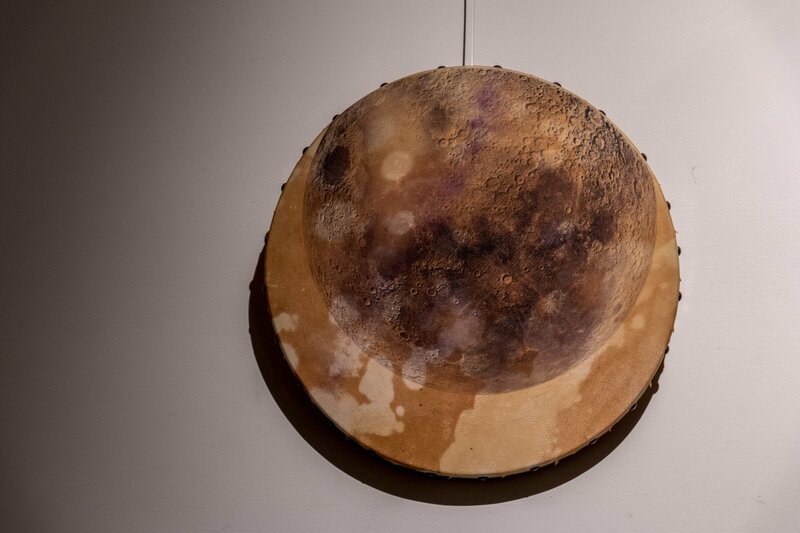 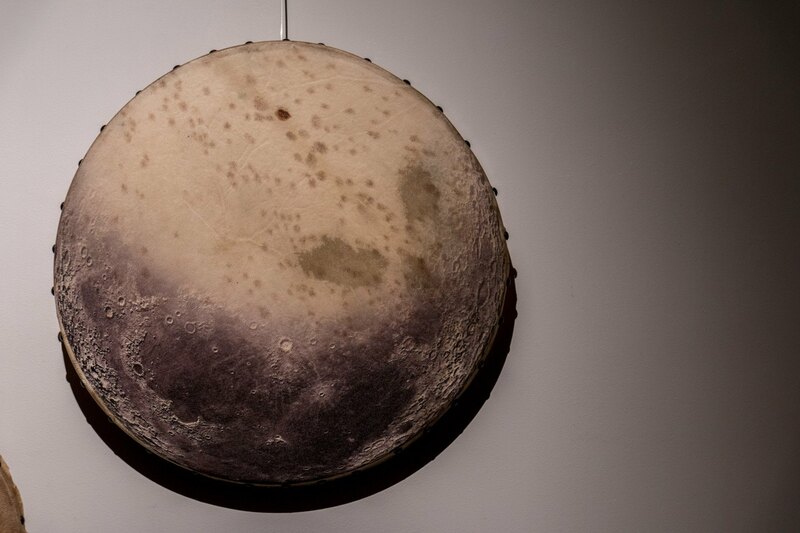 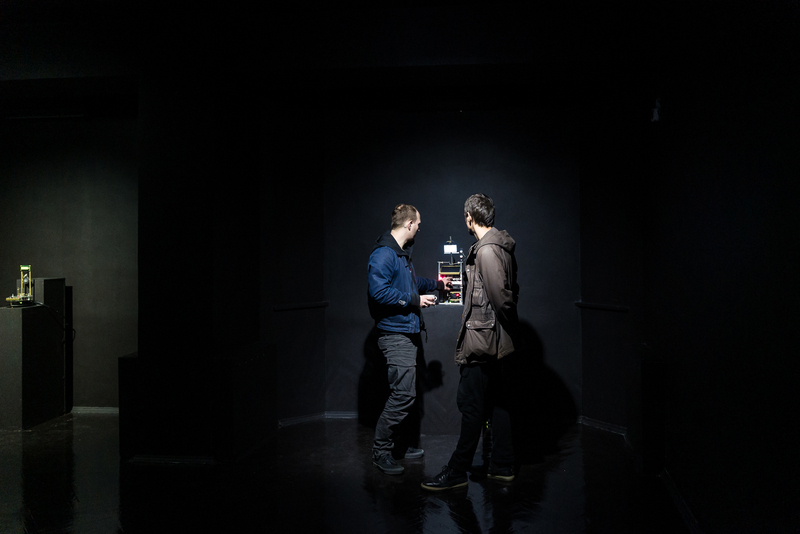 The exhibition curated by Elena Gubanova, Valentino Catricalà, and Katya Bochavar features two projects: AURORA by Alessandro Sciaraffa and TRANSMISSION by Dmitry ::vtol:: Morozov. 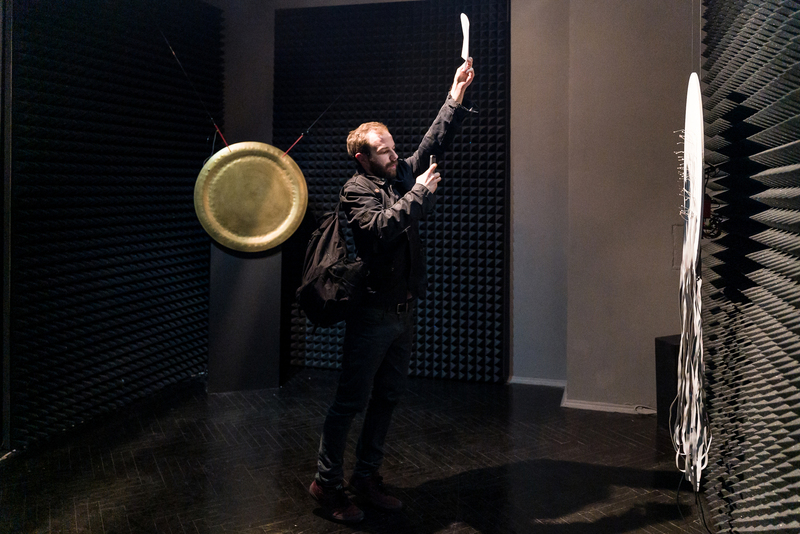 Sciaraffa’s research is centered on sound and musical experimentation, with a strong performative, sculptural and installational connotation. 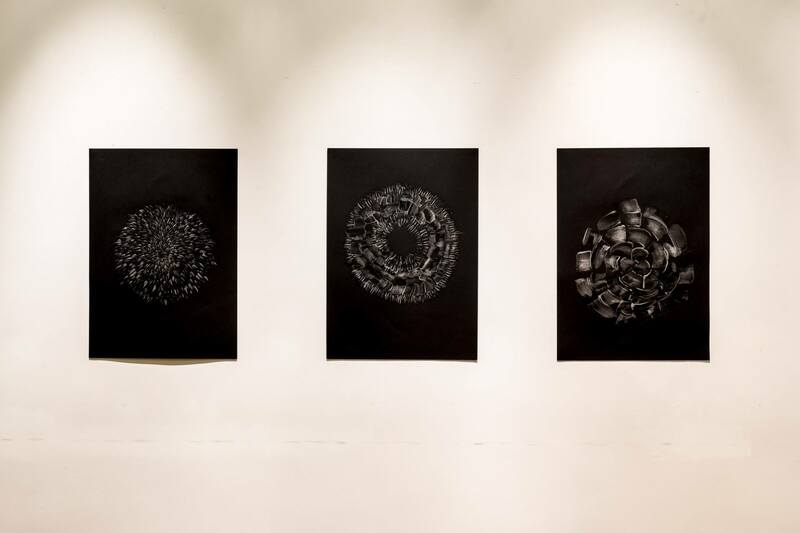 His works are synesthetic, and the viewer participates in a process of autopoiesis. 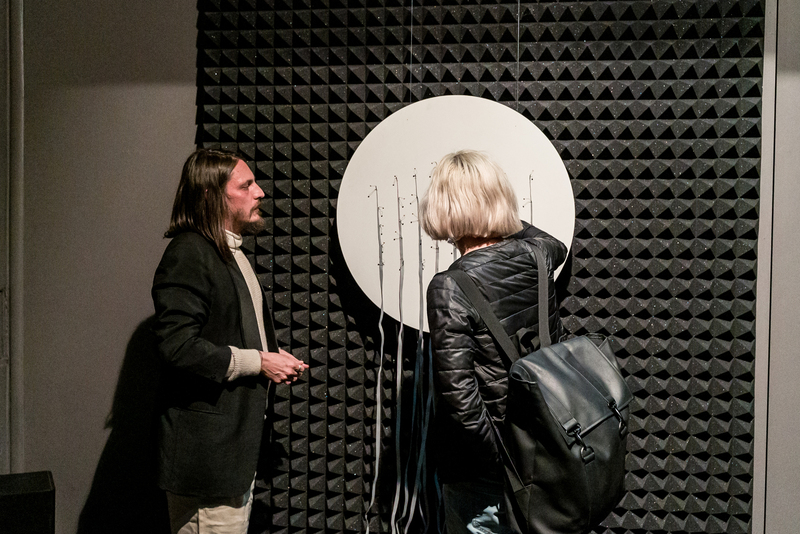 Waves, frills, vibrations, intermediate states of matter: the works of Sciaraffa are points of contact between the physical phenomena from which they are generated and the transformations that they induce inside the spaces that involve them. 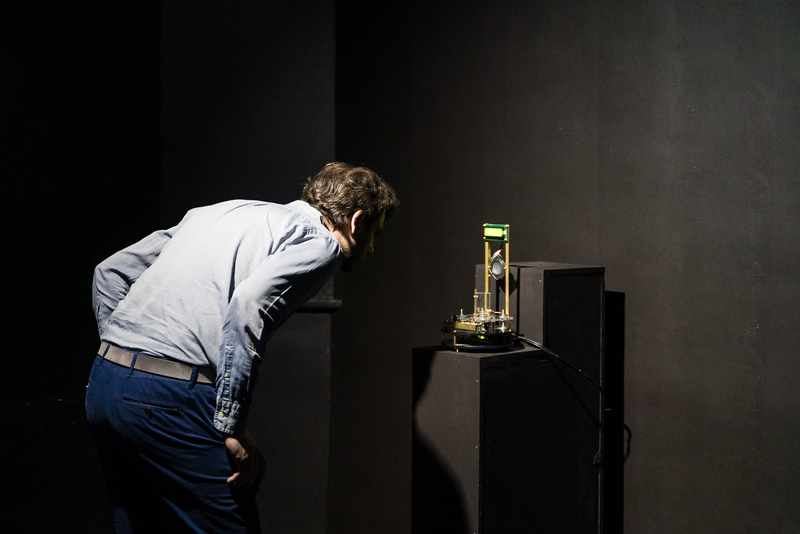 The identity of the works is not exposed, but rather disguised behind external appearances: brass plates, liquid crystal surfaces, and photosensitive papers are simple supports or resonant containers of chromatic epiphanies or sound events, which in turn are significant only as detectors of the perturbations that cross the space. 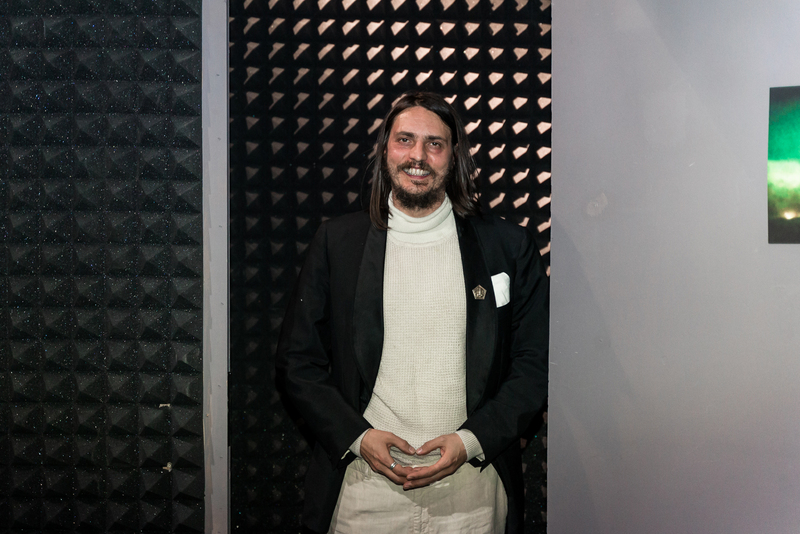 In January 2019, another project by Alessandro Sciaraffa’s opened the 12th CYFEST at the Youth Education Center at the State Hermitage in St. Petersburg. 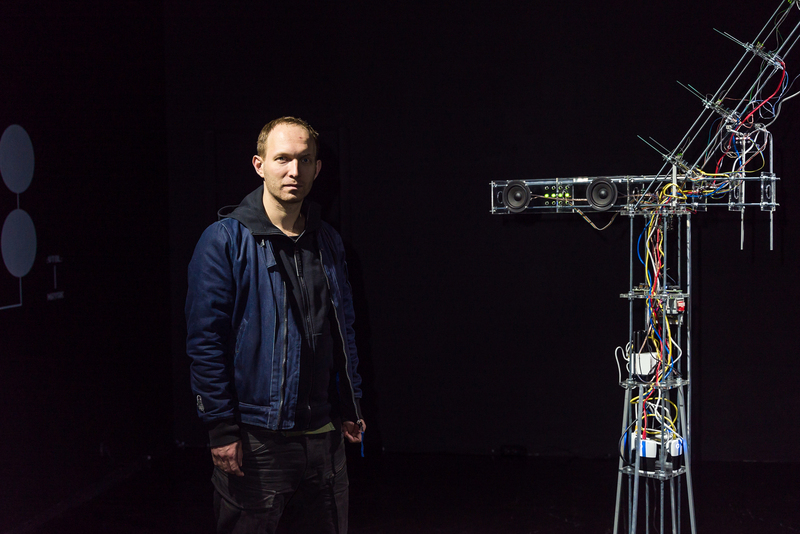 Media artist Dmitry ::vtol:: Morozov embodies his ideas in the technological genres of art: robotics, sound art, scientific art. 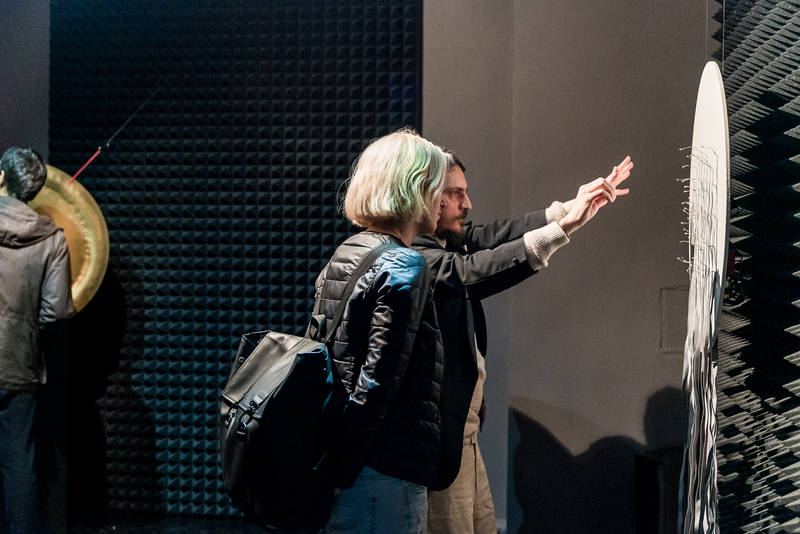 Engaged in the development and creation of experimental musical instruments and modular synthesizers, he conducts masterclasses and lectures on technological practices in contemporary art. 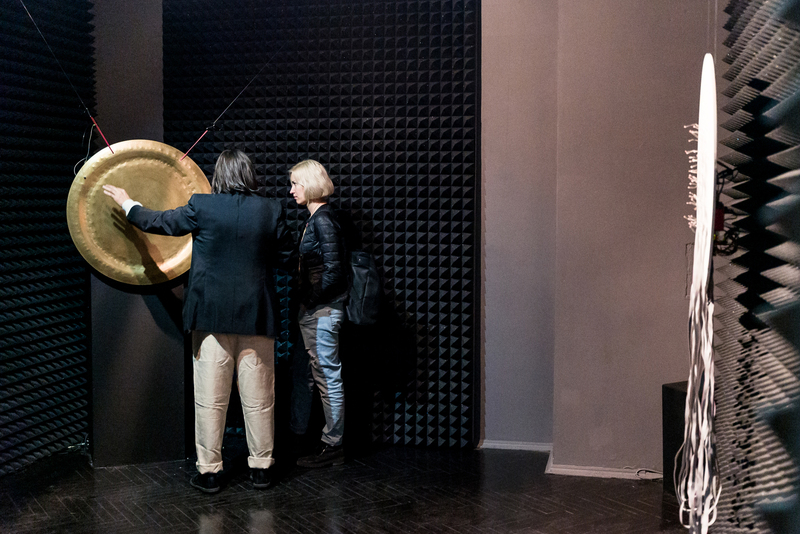 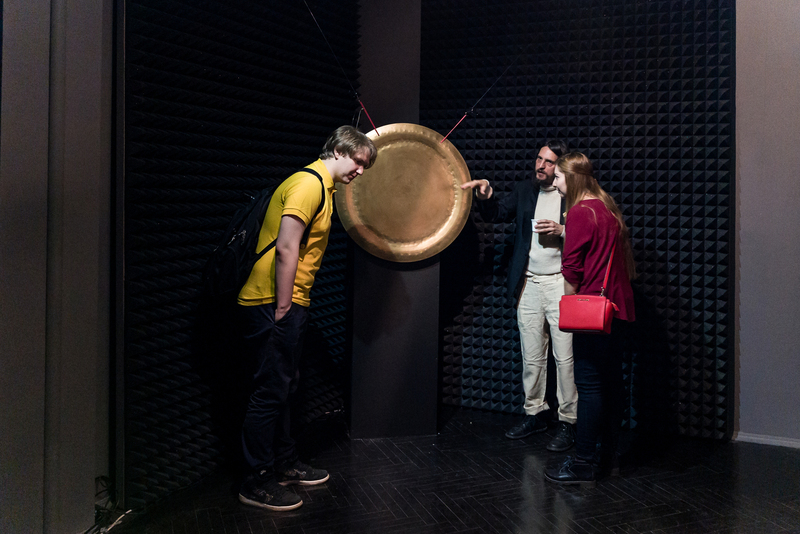 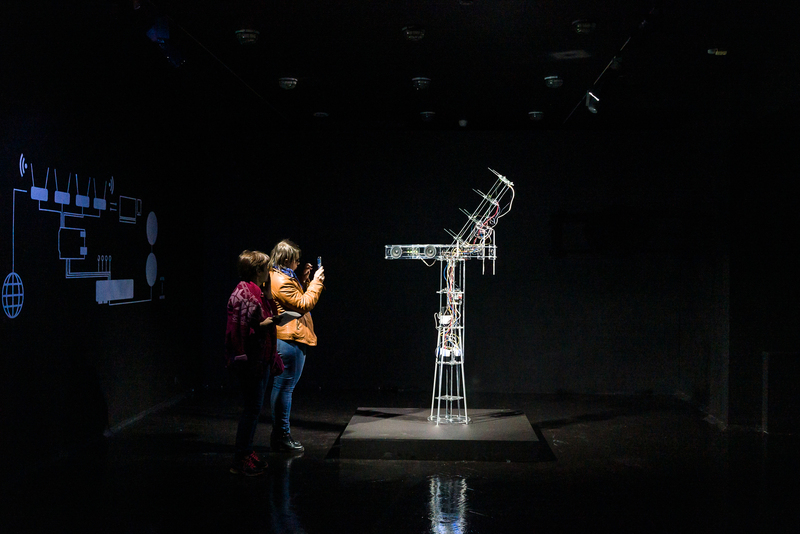 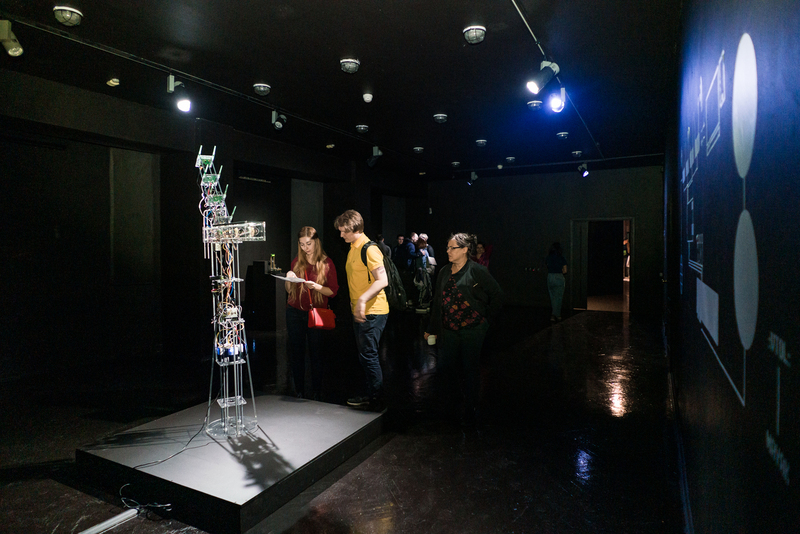 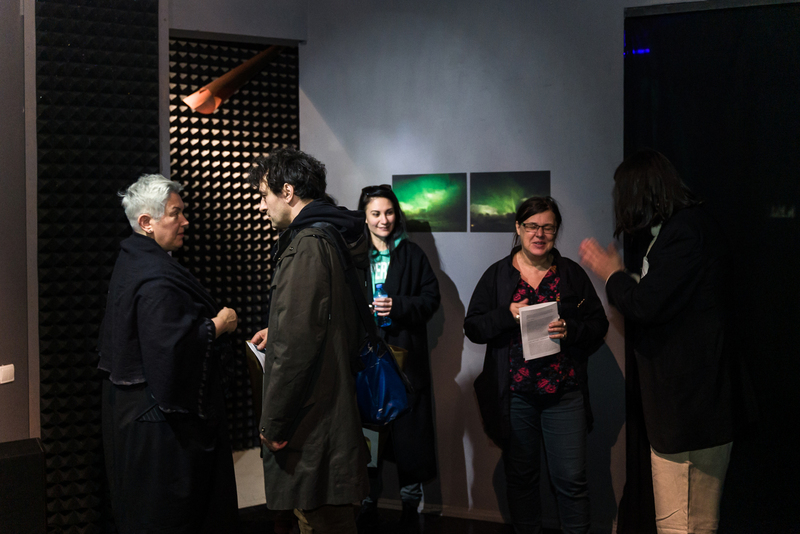 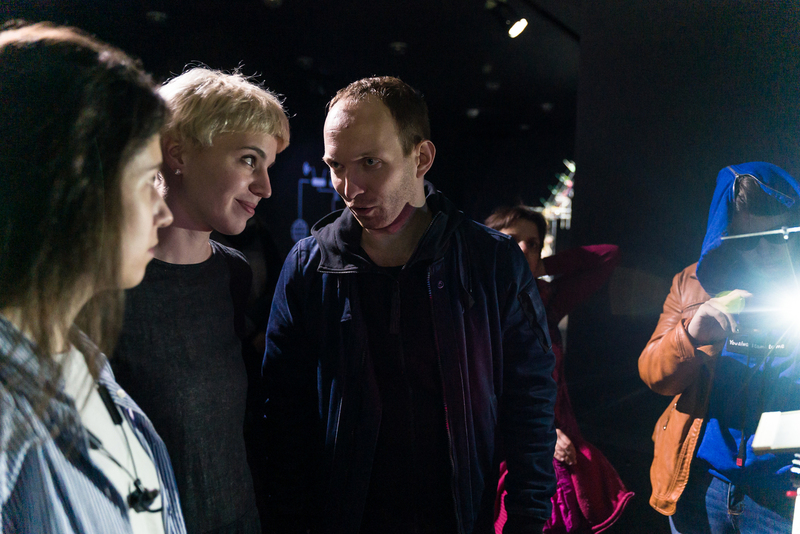 At the exhibition, Morozov presents three of his works: the sound installation Mayak, a “voice of the Internet” – an orchestra of WiFi routers composing techno music from the network acitvity; the kinetic object Waveguide, where he two motors specifically twist the wire of the device. 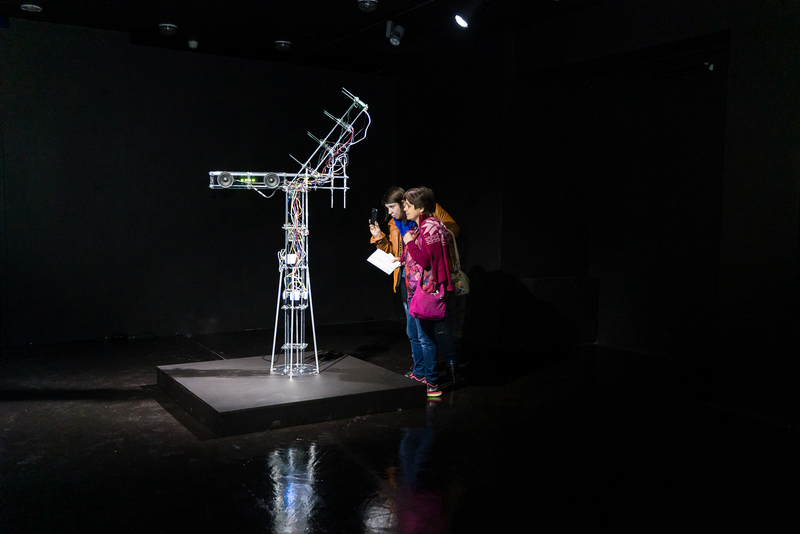 With this kind of work, the artist places an emphasis on the link between emergent systems and new kinds of technological synthesis.